Note: Also available as an audio reading. Autobiography of Daphne Ashbrook — of course, best known to sci-fi fans as Dr. Grace Holloway, the Eighth Doctor's travelling companion in the 1996 Doctor Who TV movie. Note: The ISBN is 978-1-907959-32-5 but for some reason that isn't listed on Amazon. 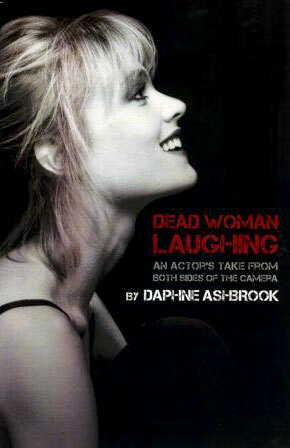 Witty, self-effacing and painfully honest; the themes of life, death and laughter come together as Daphne Ashbrook recounts her many on- and off- screen scrapes with mortality. Packed with rich anecdotes from her career in TV, stage and film, this refreshingly candid and conversational memoir spans a childhood in a theatrical family to pulling back the curtain of Hollywood, revealing the glamour and ridiculousness of a business mired in a struggle between art and profit. Reflecting on her life and her career, Daphne discovers the surprising patterns and hilarious absurdities that accompany being a modern-day professional actor. The result is an amusing, informative and intimate memoir, enhanced with over 50 colour photos from Daphne's personal and working lives. So pull up a barstool, grab a beer and lose yourself in Dead Woman Laughing. Note: Revised edition, including a new epilogue and additional photos. Two variants exist: the standard edition with black and white photos, and an autographed "deluxe" edition with colour photos, previously available exclusively via DaphneAshbrook.com. Painfully honest, witty and self-effacing; the themes of life, death and laughter come together as Daphne Ashbrook recounts her many on and off screen scrapes with mortality. Reflecting on her life and her career, Daphne discovers the surprising patterns and hilarious absurdities that accompany being a modern-day professional actor. 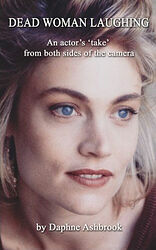 The result is an amusing, informative and intimate memoir, highlighted with a unique collection of photos from Daphne's personal and working lives. So pull up a barstool, grab a beer and lose yourself in Dead Woman Laughing. "An insightful and compelling read. I laughed and cried..."
"...I can't put it down. It's like she's in the room with me!"